Controlling gestational diabetes is a fact of life for many women during pregnancy, but it can be much easier to handle if you have the proper tools and support. Gestational diabetes is a common pregnancy complication for about 200,000 pregnant women each year or about 5 percent of all pregnancies. Gestational diabetes is comparable to diabetes in general but with one main difference: you can only get gestational diabetes while you are pregnant. If you've never had diabetes before but have symptoms during pregnancy, that's gestational diabetes. The rest of the short answer is that gestational diabetes is a disease of a person's metabolism and results in high blood sugar. For a more in depth discussion of gestational diabetes, visit this gestational diabetes article or the Gestational Diabetes Resource Guide from the American Diabetes Association. After accessing some of the above resources, come back here for ideas about controlling gestational diabetes. The most important part of keeping gestational diabetes under control is a good solid plan. A care plan for gestational diabetes should be worked out with a primary care provider such as your midwife or doctor. It's usually wise to have some extra specialists on the team as well. 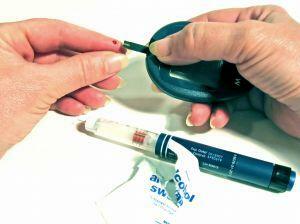 The more knowledgeable your support team, the easier it is to control gestational diabetes. You: you are the top person in charge when it comes to your health. You need to be aware of everything going on and on board with the gestational diabetes care plan your support team helps you to prepare. Much of controlling this pregnancy complication will rest on you. Taking personal responsibility is the difference between your care plan working or failing miserably. A failed plan can cause dangerous complications to both your health and the health of your baby. A primary care provider: This is the person you see for most prenatal appointments. A maternal-fetal medicine specialist: This individual specializes in high risk pregnancy. A diabetes educator: Sometimes this role is taken on by a nurse, but what it entails is someone who will tirelessly answer all the questions you have about gestational diabetes throughout your pregnancy. This person will provide you with reading and other resources such as support groups. A register dietitian: This individual will help you plan a nutritious and healthy diet appropriate for women with gestational diabetes. Holistic care is one more piece of the team puzzle that you may or may not want to try. Holistic care is great because it offers whole body care and there are many providers who work with individuals who have diabetes. Smart control of gestational diabetes involves a lot, but one key factor is being able to understand the proper levels of glucose for your body and keeping those levels where they should be. To see how a blood glucose test is performed, visit Medline Plus since they have a nice simple diagram. Maintaining a healthy body weight gain and participating in moderate, low-impact exercise throughout pregnancy. Childbirth Solutions has a wonderful exercise resource for women with gestational diabetes. Track issues such as weight gain, exercise, diet, and glucose levels in a daily log. This step is very important as it can identify a problem quickly. For example, an improper food item eaten and logged can be discussed by you and your care provider once they see your log. Eating a healthy and gestational diabetes-appropriate diet during pregnancy. Here is one good sample diet for gestational diabetes. If prescribed, insulin or other medications are very important. Make sure to use them correctly and on the right schedule. The subject of gestational diabetes control is very complex and whole books are written about it. Further resources are needed to properly manage gestational diabetes. The best readable resource available is an online booklet called Managing Gestational Diabetes. This free booklet covers every single issue related to gestational diabetes and also includes some sample diet plans, a logging system, exercise information, and so much more. Check it out for the good health of you and your baby.